Directed by Michele Shay. Scroll down for full cast list. 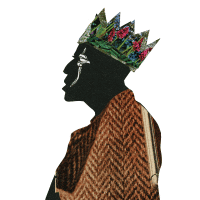 King Hedley II has been described as one of Wilson’s darkest plays. Set in the 1980s, it tells the story of an ex-convict in Pittsburgh trying to rebuild his life by selling stolen refrigerators so that he can save enough money to buy a video store.